LAY DOWN YOUR MUSIC is a duo performance by Austrian experimental musician and performer Arkajolie aka General Arka and Swiss cross-genre percussion artist Chris Jaeger. Inspired by Allen Ginsberg's shamanic poem “Lay Down Your Mountain” 1979 it defies the conventions of contemporary experimental music such as restraint, reflexivity and intellectualism, the fear of emotions, the sounding sound, the groove... 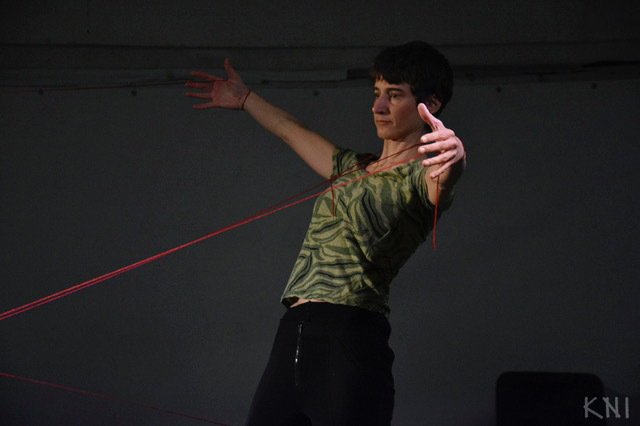 Led by the structure of Ginsberg's poem turned into a personal manifesto their unruly artistic tightrope walking opens experimental music to poetry, trance, primeval rhythm and lyrical chant.